J&B Windows are a well-established local company that offer uPVC supply and installation services. We are based in Derby but operate throughout the East Midlands and the United Kingdom.Our reputation is second to none and with over forty years of combined experience in the industry you can expect the highest standards in quality from our craftsmen, who have the skillset to deliver all of your uPVC building requirements and who will always leave your home looking cleaner than when they arrived. J&B Windows offer the complete range of uPVC building solutions, not only windows, doors and conservatories but also fascias and soffits. You can have peace of mind that all of our materials are made to the highest of British standards which are backed by our 10 year insurance backed guarantee for extra peace of mind. J&B Windows are proud to have been voted in the top 3 windows fitters in Derby for the third year running! 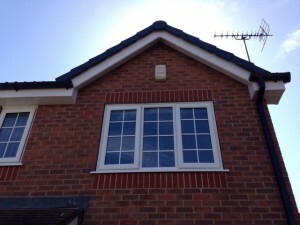 If you are looking for Double Glazing in Derby, then look no further. All of our services are provided in Derby and the surrounding areas. We pride ourselves on our professionalism and our quality. We aim to be the number one choice when it comes to uPVC, whatever your requirements, and we strive to deliver the highest levels of customer satisfaction in each and every job we undertake. Don’t just take our word for it, we encourage you to visit Trustatrader where you can read the glowing reviews of our many previous customers. 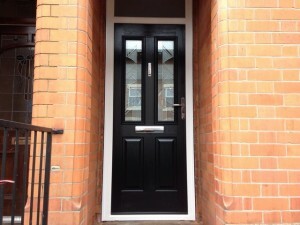 uPVC, Composite, Solid Wood – All colours and designs fitted. Wide range of bespoke uPVC Windows tailored to suit. 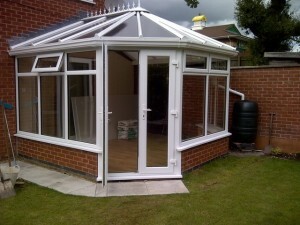 Modern uPVC Conservatories to be enjoyed all year round. Wide range of colours and styles to suit any taste and home type.